The Ace Series covers young backpacking enthusiasts, ages 10–17. An ultra-adjustable torso and hipbelt allow the pack to grow with the user, providing years of value and comfort. The Ace 75 provides the capacity and organization required by outdoor education groups. 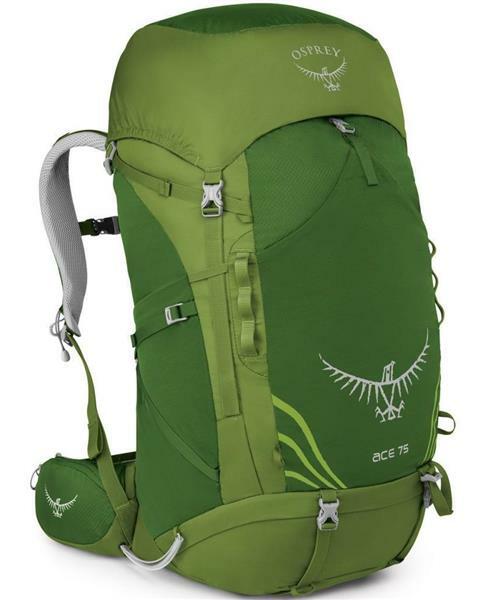 Although designed for youth, it has the same award-winning LightWire suspension as Osprey’s adult models. The mesh back panel and shoulder harness work in conjunction a Fit-on-theFly hip belt to ensure all-day comfort. * This pack offers the maximum in torso adjustment so the pack can grow with the user. The upper back panel and harness adjust up to 5" (13cm) along the peripheral LightWire™ frame for optimum load transfer and a fine-tuned fit.